November 12, 2012 (Boulevard)—At the latest Boulevard Planning Group meeting, community members including Native Americans shared heart-wrenching stories of how the nation's quest for renewable energy is upending their lives, dividing their communities,imperiling their health, and threatening their futures. 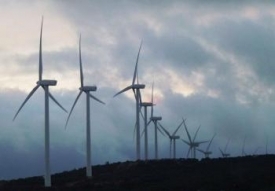 As in Ocotillo, where a wind project has anguished tribal members and residents with destruction of cultural and environmental resources, the community of Boulevard now faces an onslaught of massive "green" energy projects on public, tribal and private lands. 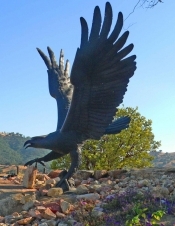 October 29, 2012 (San Diego’s East County) – Wildlife biologist Jim Wiegand, vice president of Save the Eagles International, has sent a letter to Bureau of Indian Affairs’ regional director Amy Dutsche warning that the Tule Wind project will be “deadly” for eagles in our region. October 22, 2012 (Alpine) – A U.S. Navy veteran planning to retire soon hit a jackpot worth $501,430.49 on a Wheel of Fortune slot machine at Viejas Casino. The winner, who is from San Diego, chose to remain anonymous. He hit the early-retirement jackpot while playing a $1 Wheel of Fortune progressive slot machine on Saturday morning, October 13, at Viejas Casino. 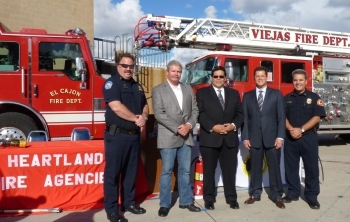 October 18, 2012 (El Cajon ) – The Viejas Band of Kumeyaay Indians and Heartland Fire Training Authority this week announced that they have entered into a historic Joint Powers Agreement (JPA). September 17, 2012 (Blythe, California)--The Bureau of Land Management scoping meeting for the Rio Mesa Solar Plant outside Blythe, California likely caused heartburn for the BLM, applicant Brightsource, and related subcontractors and agencies last Thursday. September 17, 2012 (Alpine) –What could be more heavenly than a day at Alpine’s new spa for a stressed-out news editor and her assistant? With high hopes, Mayan and I headed out to Native Dreams Day Spa in the Viejas Outlet Center, where our expectations were met and exceeded by the excellent services and products as we savored an afternoon of pampering and primping. September 19, 2012 (Alpine) – Viejas Casino, Southern California’s premier gaming, dining and entertainment destination, on September 14, set a new Guinness Record for the World’s Largest Blackjack Table. The record was set at 9:45 a.m. September 13, as six guests sat at a massive blackjack table measuring just over 2,226 square feet and played a hand of blackjack with chips and cards that were ten times the size of the actual Viejas blackjack chips and cards. Philip Robertson, an official “Adjudicator” for Guinness was on hand to confirm the measurements and witness the hand of blackjack…and the new record was officially certified amid a rousing round of cheers and applause from Viejas Team Members and guests in the DreamCatcher at Viejas Casino. 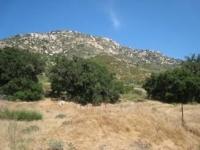 September 12, 2012 (El Cajon) – The Heritage of the Americas Museum presents “Native American Song Cycles and Creation Stories in Southern California” with Steve Elster, Ph.D. on September 22 at 1:00 p.m. in the Museum Conference Room. Tribal members throughout the region will sing and speak as they give a rendition of their stories. The cost of admission is $5.00, however Museum members and children are free. The Museum is located at 12110 Cuyamaca College Drive West, El Cajon. For more information call the museum at 619-670-5194 or visit www.cuyamaca.edu/museum. September 12, 2012 (Viejas)– Viejas Casino, Southern California’s premier gaming, dining and entertainment destination, will attempt to set a new Guinness Record for the World’s Largest Blackjack Table on September 13 – Viejas Casino’s 21st Anniversary. 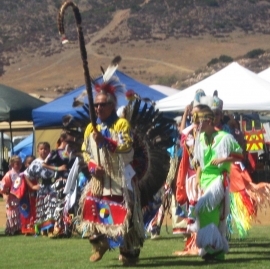 August 30, 2012 (Lakeside) – The Barona Band of Mission Indians will celebrate Native American culture and traditions at the 42nd annual Barona Powwow this weekend. The festivities begin on August 31 from 6 p.m. to 11 p.m. and continue on September 1 & 2 from 1 p.m. to 11 p.m. at the Barona Baseball Field, 1095 Barona Road, Lakeside. 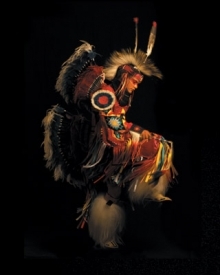 Since its inception in 1970, the tribal celebration has grown into a 3 day event featuring traditional tribal dances, singing and music, a hand drum contest, authentic Native American food and handcrafted arts and jewelry. 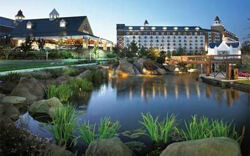 More than 200 dancers from across the country will compete for more than $60,000 in cash prizes. August 21, 2012 (San Diego’s East County)—Why did the U.S. Department of the Interior (DOI) host the first in a series of five “listening sessions” with Native American leaders ostensibly to address tribal concerns over impacts of renewable energy projects on public lands—yet didn’t bother to take notes or record the sessions? Why are no listening sessions scheduled in California or anywhere near our state, where some of the most controversial renewable energy projects are being built atop the graveyards of Native Americans’ ancestors? August 11, 2012 (Sacramento, CA) – Tribal government gaming generates important benefits across California’s economy, according to a new study conducted by Beacon Economics, a leading independent economic research firm. July 5, 2012 (Washington D.C.) –The Native American Energy Act, HR 3973, has been approved by the House Natural Resources Committee. The bill, which seeks to remove “bureaucratic obstacles” to energy production on tribal lands, would also severely impede residents, environmentalists or even neighboring tribes who file lawsuits to stop tribal energy projects. 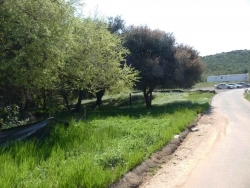 July 4, 2012 (Santa Ysabel) -- An official of the Santa Ysabel Resort and Casino announced that the facility will continue to operate as usual while it seeks to restructure its debt under Chapter 11 of federal bankruptcy law. The tribeʼs attorneys filed the petition yesterday in federal bankruptcy court Southern District of California. 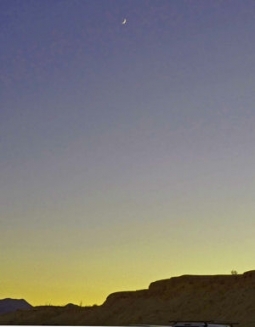 June 24, 2012 -- A sliver of moon and a spangle of stars shone down on the Ocotillo desert last night, where representatives from eight tribal nations joined in ceremonies to honor their ancestors. Hundreds of people from across the southwestern U.S. came to mourn the desecration of Native American sacred lands, cremation sites and the natural environment that is now occurring on public land. As twilight melted into darkness across the shifting sands and jagged ridgelines, the night’s silence was broken only by the whistling of the wind and the cadence of ancient Native American songs unchanged for the past 10,000 years. But that way of life—and the peaceful presence of this place--may soon be gone forever. 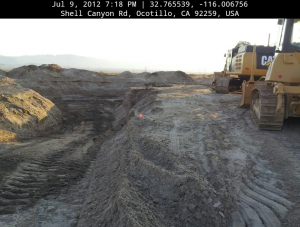 June 13, 2012 (Ocotillo) – As bulldozers raze their ancestors’ graves, Native American tribes across the southwest are asking for the public’s help to stop the desecration. If you believe this heartbreak funded by taxpayer dollars is wrong, please join with tribes of all nations to take a spiritual stand together against despoilment of these once protected desert lands for private corporate gain. Determined to halt the Pattern Energy's Ocotillo Express wind energy project, tribes of all nations will gather for a traditional dusk-to-dawn ceremony to mourn disruption of their ancestors' burial sites. 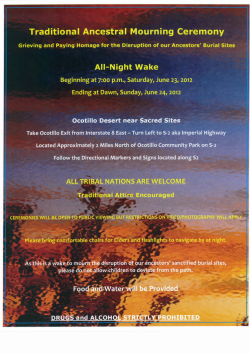 From 7 p.m. on Saturday, June 23 to dawn on Sunday, June 24, members of the public are encouraged to join with Native American neighbors in the Ocotillo desert for these spiritual ceremonies. June 8, 2012 (Alpine) – Looking for something fun, free and cool for the kids to do this summer? Your child or teen can receive a free bowling game each week-day this summer, along with bowling shoes, in Viejas Bowl’s new “Say Yes to Bowling” program. The fun starts in June and continues on through August. 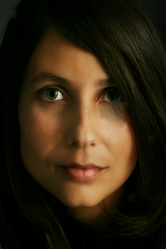 “The snake was moved but kept coming back, just like our people. 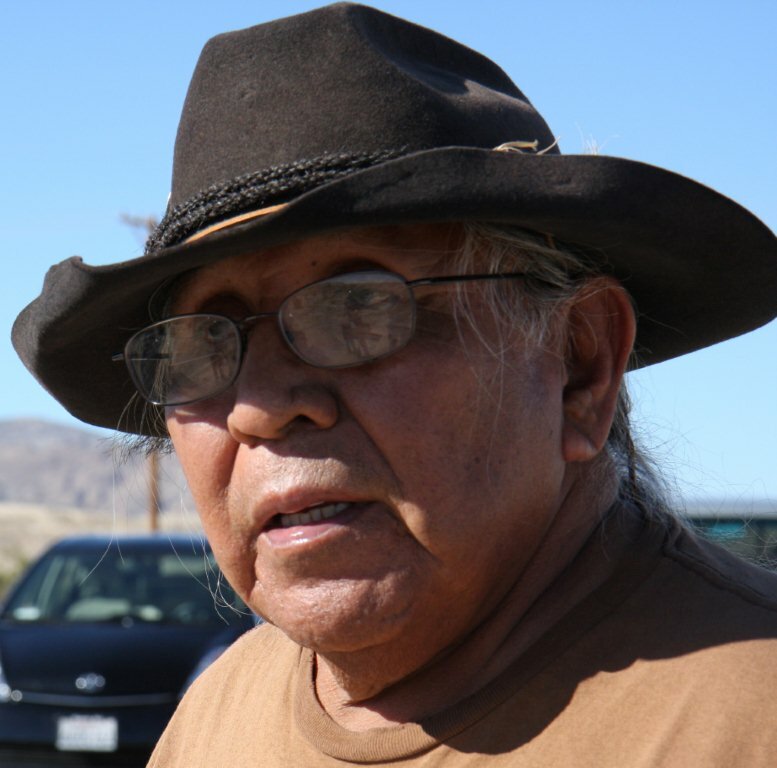 We will continue to keep coming back.” – Preston Arrowweed, Quechan elder. 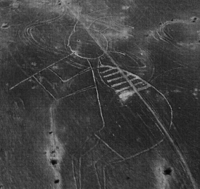 He believes unusual animal visitations at site are signs from Indian spirits, asking his people to help. 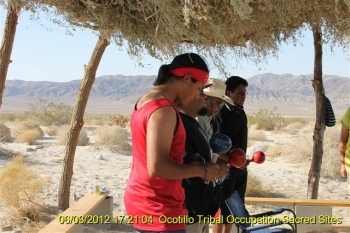 June 7, 2012 (Ocotillo)—Neither blistering heat nor blowing dust dissuaded Native Americans from at least four tribes from taking part in a five-day occupation in Ocotillo last week. May 26, 2012 (El Cajon) -- More than 2,300 students will be receiving their degrees or certificates from East County’s two community colleges at month’s end, capping a year marked by the state’s ongoing budget crisis. May 25, 2012 (Lakeside)– Celebrating 10 years of service to the Tribal communities of Southern California, Inter Tribal Sports (ITS) ambassadors Bill Walton (NBA Hall of Fame) and Lorenzo Neal (NFL All-Pro) invite San Diegans to join former San Diego Charger Hank Bauer at the NeXt Generations Gala and Golf Tournament at Barona Creek Golf Course in Lakeside on June 29. May 23, 2012 (Alpine)--The new Buffet at Viejas had its grand opening on Tuesday morning. The fanfare included a tribal blessing from Kumeyaay elder Virginia Christman and traditional bird songs led by tribal member John Christman. Viejas Tribal Vice Chairman, Robert “Cita” Welch, addressed a crowd of tribal elders, leaders, local dignitaries, Chamber of Commerce representatives, public and the press during a ribbon-cutting ceremony. With the smell of sage in the air being prepared for the smudging, he called the new buffet at Viejas among the best in the San Diego area.